Last year was pretty slow for MMOs. Most of it was filled with announcements of future games, some closed beta testing, and a few disappointments. This year, on the other hand, should be a bit more interesting, with games like Elder Scrolls Online, ArcheAge, and Everquest Next: Landmark showing up. From the way things are looking, it seems like we will see developers pulling even further away from the themepark model and begin to embrace the sandbox instead. For most of us, this will be a fantastic change. For others (*cough ESO cough*), it may lead to a failure. The focus of this article is to talk about Elder Scrolls Online and why I think it will fail. The primary reason I believe the game will be a complete disappointment, is that from what we’ve been shown so far, ESO is just another Themepark MMO. It doesn’t even seem to resemble any of the Elder Scrolls games we’ve come to love, minus sharing the same fantasy world. What has me most worried about this game is what we’ve seen from the combat (in various dev play videos), as it seems quite clunky and looks like a poor attempt to turn a point-and-click game into a non-target game. On top of that, it seems like the loved “create your own class” system that Elder Scrolls has gone with in the past has been thrown out the window in favor of a more traditional MMO class system. What I, and I imagine hundreds of thousands of other gamers, wanted was an Elder Scrolls MMO that was of a mix of Morrowind, Oblivion, and maybe a tiny bit of Skyrim. Instead, what we’re getting is a World of Warcraft-TERA hybrid, that is re-skinned to resemble something from Elder Scrolls. Sure, both games are great and we all know that ES is incredible, but it’s not what we wanted. When I played Morrowind, I didn’t even pay attention to the games “main” storyline until I had already spent over a hundred hours in the game. The same with Oblivion and Skyrim. I’m afraid that ESO will just turn out to follow the Themepark formula to a T, a few side quests, a not-so-thought-out main line, and a bunch of zones that are separate in level difficulty. I’m not saying the game will be bad. I’m sure it will be quite fun – until EverQuest Next comes out, at least. It actually has a decent amount going for it. The biggest being the world and lore. From what I’ve seen from videos and dev interviews, it seems like the game will have a pretty interesting questing system that goes further than the usual “Kill X of Y for Z reward,” and may even offer several possible ways to complete a quest. The graphics, at least from what I’ve seen, do not seem half bad either. What has me most excited, however, is the intense realm vs realm PVP. If anything saves the game, it’ll be that. 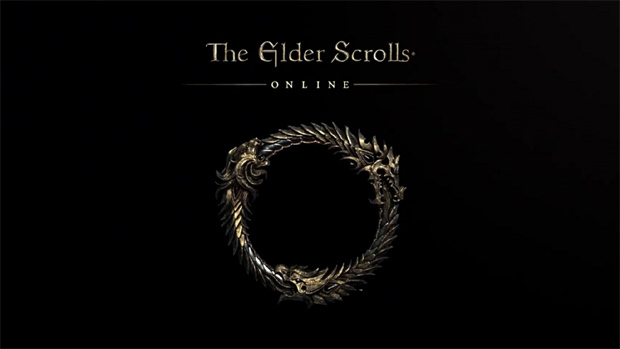 On top of not being what fans wanted from an Elder Scrolls, the game will also be buy-to-play and then pay-to-play. Perhaps it’ll be able to get away with it (at least for a while) due to the large fanbase that Bethesda has managed to create, but I doubt it’ll last a year before they decide to change to a free-to-play model. I’m actually very sad that ESO isn’t going to be free-to-play from the start, as it’s one of the few MMOs that can get away with it without having to resort to using a pay-to-win cashshop. Another disappointment is added to the list. I just can’t see ESO being a success (past the first couple of months after release, at least) with games like ArcheAge and EverQuest: Next around the corner. Once people get a taste of the possibilities that EQN will give them, they’ll not want to return to their static Elder Scrolls world that never seems to change past a few major patches and maybe some expansions. Unless ZeniMax pulls something amazing out of their sleeve before release, their game isn’t looking to appetizing. I really wish millions of dollars would stop going towards the “proven method” for making an MMO and more large companies would make something unique and different. It’s really sad that EverQuest: Next will be the first AAA MMO to try something new in this industry, after we’ve been playing the same formula for over a decade. If you’ve read this far, you’ll have noticed that I am anticipating Elder Scrolls Online to be a failure as an Elder Scrolls game. 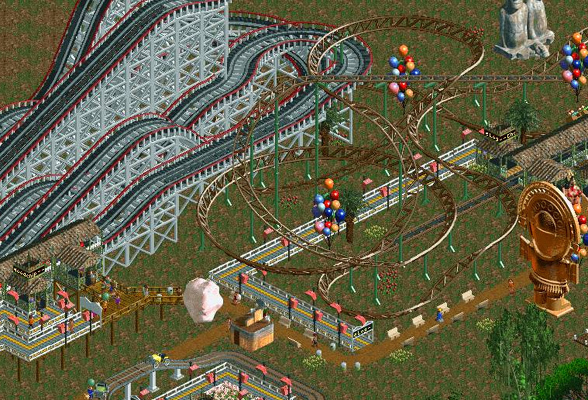 However, I want to stress that I do not think it’ll be a bad themepark game, but that’s all it will be in the end. Perhaps it’ll make profit, but it won’t be that amazing Elder Scrolls MMO we’ve dreamed about where we can live out our fantasy lives as Khajiit thieves skulking around the populated cities pickpocketing and stealing whatever we can, or Altmer doing magical research in some mage tower out in the middle of nowhere, occasionally running into our fellow players. Sure, it may be fun, but it just won’t be what we’ve wanted. Personally, I am hoping that this will mark the end of the Themepark Era, and be the final attempt that AAA Developers make at this type of game. 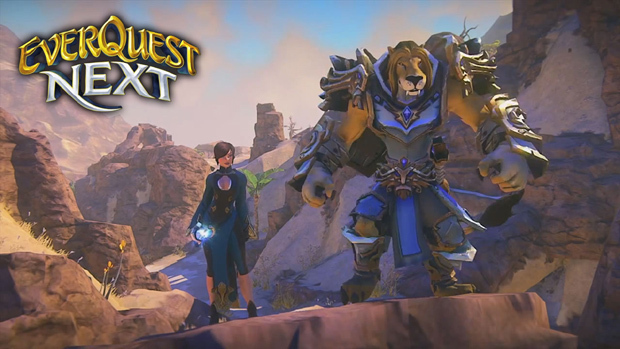 Hopefully from this point on we can look forward to more and more games that will follow the sandbox style of MMO, who will travel in EverQuest: Next’s footsteps. The singular thing i can agree on, seeing as i’v actually kept tabs on ESO is the payment method. Didn’t we learn from Secret World that we can’t expect people to poney up a full purchase price, a monthly fee AND to have a cash shop in the game? Thanks for the comment. +1 for having an actual opinion on the article rather than just raging at me. First, I’d like to say that this isn’t a review. It’s simply my opinion on ESO. And, while I have participated in the beta, I am basing everything I say in this article on what I’ve seen from dev videos and press releases. This is because of the NDA, which is still in effect. Because of that, the article may seem a bit off, and perhaps I will be proven wrong in this article, but that’s alright with me as it’s just my opinion and not the be-all-end-all word on the game. Like I try to stress in the article, the game will be a good THEMEPARK MMO, just not a good (again, in my opinion) Elder Scrolls game. I am sure, at least for several months, ESO will be a very popular game, and I will even be playing it as well. It’s just not the Elder Scrolls MMO I’ve been waiting for. I think straight up, judging from impressions so far from ESO, I agree with you. Especially with how clunky the combat looks. All Bethesda should have done is give us one more Skyrim expansion, that allowed for multiple players to connect to privately ran servers. I think pretty much every single person who owns Skyrim, would pay another 9.99 for that. Allow mods and let people just build what they will with it. This would allow Skywind and all the other mods to run too. I know I’d have bought it. But I have no intention based on the information available for ESO, to even give it my usual MMO “Buy and play that first 30 days” trial.